Boy falls into flooded river near Negev town, drowning. A four-year-old boy was killed in a flashflood in southern Israel Thursday afternoon. The child was carried away by flood waters after the Nahal Arad river became flooded during a rainstorm Thursday. The incident occurred near the Bedouin town of Kuseife, east of Beer Sheva and west of Arad. After the boy was recovered, he was rushed to Soroka Medical Center in Beer Sheva while in critical condition. Hospital officials were forced to declare the child’s death shortly after his arrival. 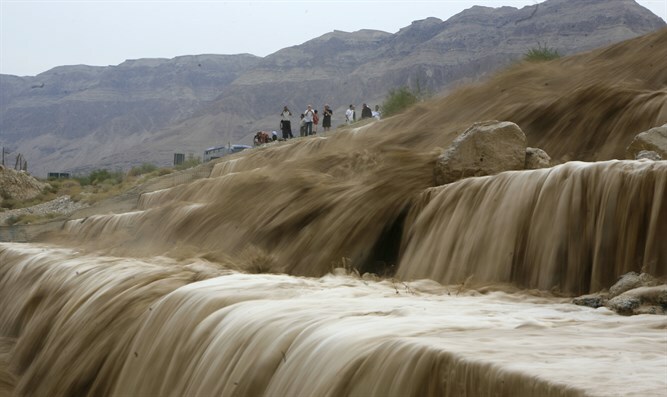 Earlier on Thursday, flashfloods forced closures on roads in southern Israel, including Route 90 near the Dead Sea. Further flooding is expected Thursday night in both the south and portions of central Israel.